Join us for Walk To Africa 2016? Through Walk To Africa we raise money to send doctors and volunteers on short-term medical relief trips, build schools, clean water projects, establish vocational schools and restore thousands of lives. Visit Lighthouse Medical Missions website to see our amazing work in Africa and how your support can make a difference. Or you can to begin raising money now in the walk-a-thon Click here to Register. Lighthouse Medical Missions touches the lives of thousands each year. Through the 7th Annual Walk to Africa we will continue to raise the awareness of the plight of children in western Africa. Our teams bring life giving medical care, hope and improved health practices to the sick and suffering children in the remote villages where they have no doctors. Help us make permanent change by building schools which transforms the landscape of the villages enabling young people to escape the cycle of poverty. We find that educated adults are beginning to return to give back to their countries. .
Our Goal is to reach another 25,000 people in two years! Each team costs $75,000 to send including medicines. Help us reach that goal and change lives by registering for Walk To Africa now! 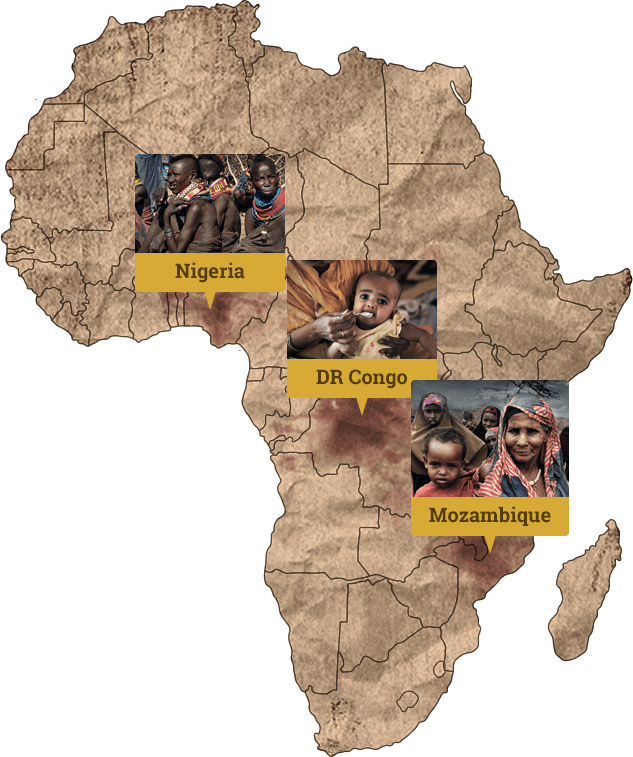 We invite you to partner with our community of supporters, walkers, and sponsors both locally and globally through this walk we raise awareness of the medical challenges in Western Africa. Watch the videos below then click here to Register and start recruiting your team today. 1,000 people and $150,000 is our goal we can't do it without you! Mark Steines, co-host on Hallmark's Home and Family show and former co-host of Fox's Entertainment Tonight, went on our 2008 medical trip to Sierra Leone to meet the Presdient of Sierra Leone. This country was devastated the Blood Diamond Civil Wars which he documents in his book. Click on his video below to see the impact of his journey! Or click on See The Light to view his multi-media event held on the ET Soundstage to benefit Lighthouse Medical Missions.